China's Cyber Hackers Target Western Firms ! 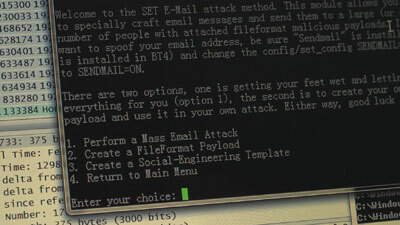 Sky News has learnt of the growing threat Western governments and corporations are under from hackers based in China. Cyber crime costs the UK tens of billions of pounds every year. The man I meet is 21, he has no technical training and has moved to Beijing from a small town in southern China. But within minutes of our meeting, he's shown me how he can hack into my email account. A few more clicks of his mouse, and he's stolen my credit card details as I make an online purchase. He says he's a "cyber security expert" - not a hacker - but we can't use his name and he refuses to show his face. I ask him whether he could successfully hack into more carefully guarded computer systems: those of government officials and top companies in the West. "Even the strongest security systems have holes," he tells me. "Everyone knows that those people haven't realised that there are hackers who can attack them. They probably think they have the best security possible." Last year, cyber attacks cost Britain £27bn. The global hub for targeted attacks is China. An estimated 1.6 billion attacks are launched from the country each month. The Chinese government says it is cracking down on hackers. Last year authorities reportedly made several hundred arrests and closed one online hacking school that was said to have 180,000 members. But other websites that offer the same service are still operating. Sky News recently gained access to a conference organised by a well-known hacking group in a four-star hotel in Beijing. The event was sponsored by a security firm with alleged connections to the Chinese military. Speakers covered topics such as Defeat Windows 7 and Virtual Viruses Infection. The conference also highlighted the murky connections between hackers and the Chinese government. One man who identified himself as a policeman said: "We're here to see if they have anything we can use. If there is, then we'll get in touch with them, and take the next step." Chinese hackers are accused of breaching the computer systems of the Pentagon in the US and the French and German governments, as well as several Whitehall departments. In 2009, investigators discovered that Ghostnet, the largest ever network of cyber attacks, could be traced back to China. The operation's command and control had gained real time control over 1,200 computers belonging to foreign embassies, international organisations, and media groups in more than 100 countries. However, according to experts, the biggest threat posed by attacks traced to China is the loss of industrial secrets. Last year several attacks targeted some of the world's biggest oil and gas companies - an area of enormous strategic importance to China's economy. It was also recently revealed that investment bank Morgan Stanley was hit by a six-month attack emanating from China. Experts say Britain's high-tech industries are particularly vulnerable. "Britain spends £25bn a year in these areas," says British cyber security expert Will Gilpin. "It has a lot of specialist knowledge, abilities and plans available in its computers which are tremendously appealing to a country like China that wants to short circuit and leapfrog the Western countries in developing their economy." But the young "cyber security expert" says there may be an even bigger threat. If the West ever came into conflict with China, he says the country's hackers would be able to inflict untold damage. "They may be able to shut down the electrical grid," he says. "Lots of things don't function without electricity. You could stop a whole area or the entire country from working."